We found 16 blazzing results matching your criteria. 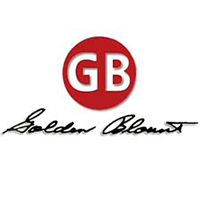 Golden Blount first entered the fireplace industry early in the year of 1970 as a manufacturers representative in the southwest. In 1980 we became a major distributor and importer of fireplace accessories manufactured in the orient. Golden Blount is known for their unique designs and quality of our products and the success of the company has been more than outstanding. Golden Blount, Inc. Corporation is totally owned and managed by members of the Blount family.